Early Keyboard Agency, or EKA as it is better known today, is a family business set up in 1975 after 11 years in the workshops of Robert Goble & Son making and finishing Harpsichords, Spinets, Virginals and Clavichords. We have worked for 45 years with professional musicians and have always insisted on the highest standards of workmanship and quality of materials. With this fastidious approach we have many eminent clients worldwide and still restore Harpsichords and Clavichords, although we specialise mainly in restoring Square Pianos, for which we make our own bass strings and any other missing components. We have dedicated men trained to move instruments with the greatest care who can collect your instrument from you and return it in fully restored condition. We can also restore instruments arriving from Europe and the USA and will return them carefully packed and in perfect condition. For further information please contact us by telephone, fax or email. We will be pleased to help you. 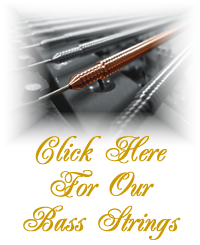 For more information on our bass strings please click here.